The 10 Best Places In NYC For Your Next Instagram Shoot — EveryStylishGirl. From the beach, parks, to skyscrapers, New York is one of the most versatile places, making it an incredibly photogenic location. With its juxtaposition of urban and rural areas, NYC is the perfect playground to test a out a variety of concepts and styles of photography. However, with so many options and tastes jam-packed into one city, it can be hard choosing the next place to shoot some quality photos. To help you out, I’ve put together the top 10 places for your next NYC photoshoot in order from uptown to downtown. 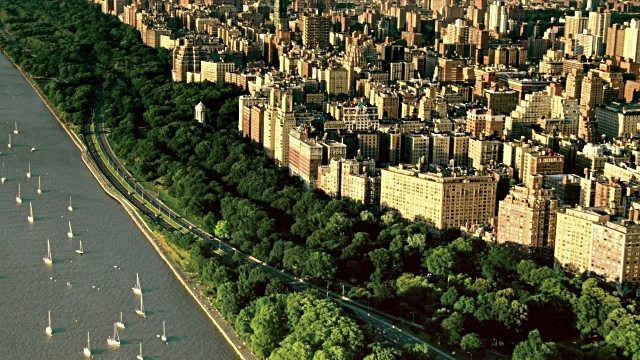 Let’s get to the basics of NYC picture taking: parks. Whatever your style of photography may be, scenery, architecture, people, to fashion, the Cloisters provides some of the best natural backdrops. 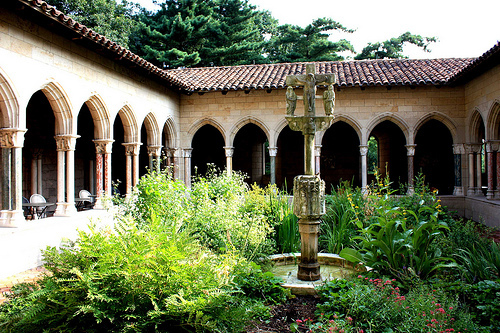 Catch the Cloisters on a sunny day and you’ll have hours to live out your dewy, glowing, fairy dreams. West side 72nd st. to 158 st.
Now I know my second place is also a park, but for many the Cloisters can be quite the trek. Spanning 57 blocks and containing both small pockets of stunning architecture and scenic views -- Riverside Park is one of the most versatile places, and a great beginning location for a first time shoot. From Instagram to DSLR’s, NYC parks are the perfect playground to experiment with a new lens, angle(s), or concept. When it comes to NYC neighborhoods, Soho is easily one of the most photogenic. With its cobblestone streets and infamous cast-iron facades, it’s hard to take a photo you won’t want to post. Home to a plethora of designer boutiques, Soho’s buildings are elegant and sleek, each possessing their own unique characteristics. From being featured in the film A Night To Remember (1943), Cyndi Lauper’s “Girls Just Want to Have Fun,” and Sheryl Crow’s “A Change Would Do You Good,” Gay street is no stranger to the camera. While the street itself is relatively short, it is built at a sharp angle, creating the illusion that it extends forever. Dating back to the 1800’s, the streets townhouses are incredibly quaint and make for an optimal photo shoot location. Minetta Lane, also known as “Little Africa,” is a picturesque location, jam-packed with historical significance. Starting out as a location where partially freed slaves settled in 17th century, Minetta and its surrounding area quickly became home to a growing African-American community. In addition to its rich history, visually Minetta Lane is a time capsule in itself, making it one of my favorite locations to photograph, and the perfect place for a shoot. 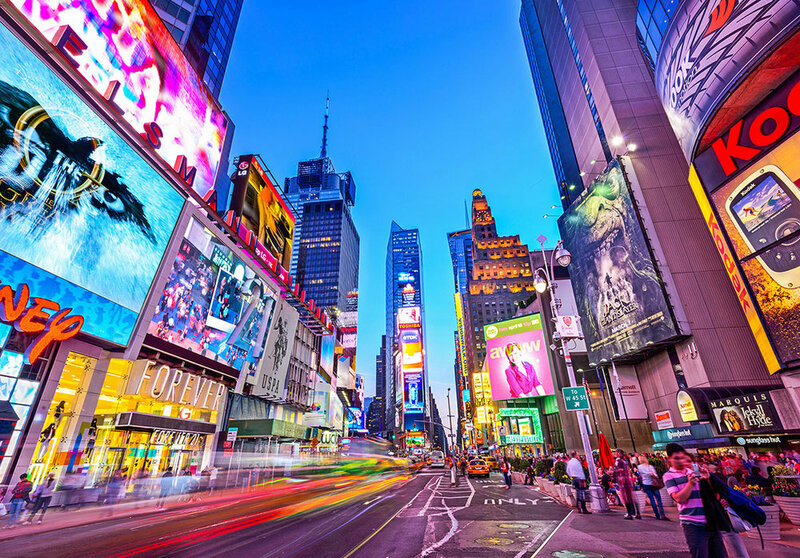 While Times Square can be a nightmare to navigate, the bright lights, energy and pure metropolitan feel is irreplaceable and exclusive to NYC. The best way to beat the large crowds and get the shots you need, is to visit and plan a night shoot. Starting at 2am, Times Square begins to clear out, leaving you with one of the best locations to experiment and document. In New York, home to many visually stunning pieces of architecture, it’s important to always be on the lookout for colors, captivating angles, and details of NYC architecture. Three of my favorite go-to buildings are: the Oculus, Flatiron, and the Whitney (honestly, museums in general). When it comes to museums, remember that the installation also doubles as a second location. Stay up to date with the various exhibitions that take place in NYC as you will always find one with plenty of material for your next stunning shoot. One of my favorite places to shoot during that precious golden hour is the Highline. Already elevated, the Highline provides the perfect view to capture the setting sun, as well as giving you another perspective of NYC’s skyscrapers. With its height, perfect natural light, and view, the Highline is one of my favorite places to shoot portraits and often times film. With its irreplaceable atmosphere, Chinatown is its own world in the middle of Manhattan. You’ll find yourself returning to the location multiple times for some of the best decorations and lights. From day to night, Chinatown provides a variety of opportunity from stunning nighttime shots to the early morning hustle and bustle of NYC’s residents bringing the neighborhood to life. Another location that is guaranteed to give you some great shots is Dumbo, Brooklyn. Whenever in the area, however, my go-to location is the infamous Washington Street looking onto Manhattan Bridge. Although pretty insta-famous, the Manhattan Bridge provides a pure NYC feel to your photograph, and changes depending on the season. It’s time to pack up your best thrifted pieces because Coney Island is one of the best backdrops for a thematic shoot. Google Coney and its surrounding areas beforehand for a little more guidance, but once you have your concept, the best thing to do is to just clear your day, pack up, and go. Experiment with clothes, makeup, and even try new tricks, such as shooting through materials -- gels to add color, tape to get a dreamy effect, and even glass prisms or crystal suncatchers for a kaleidescope effect.